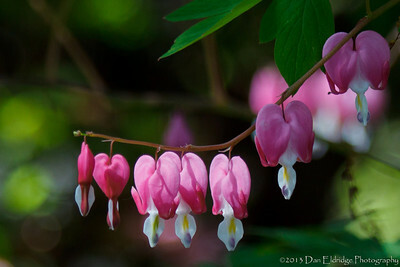 A popular excercise for photographers to hone & develop their skills. I will make a picture a day in May and share them with you. 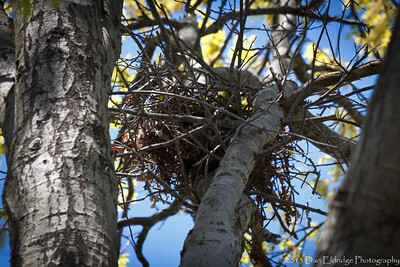 May 2nd: An abandoned birds' nest way up in one of my trees. Shot at ISO 400, f/7.1, 1/400 sec with the EF70-300mm at 250mm focal length. 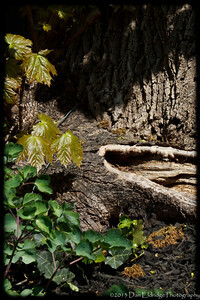 May 1st (sort of): I wasn’t happy with the images I created on May 1 so please except this still life from May 3rd. Shot at ISO 400, f/14, 1/400 sec with the EF70-300mm at 235mm. May the 4th be with you: Spider v Bee. I think the spider is winning. Shot at ISO 800, f/8.0, 1/250 sec with the EF70-300mm at 120mm. Cinco de Mayo: Check out the way the light & shadow plays off various parts of the plane. And, I love the BLUE & WHITE nature of this image. 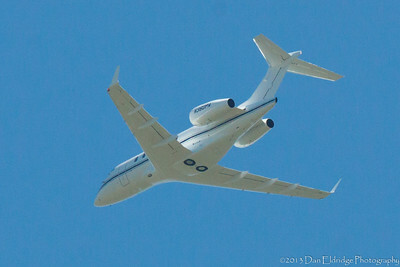 Shot at ISO 800, f/13, 1/1000 sec with the EF70-300mm at 300mm. 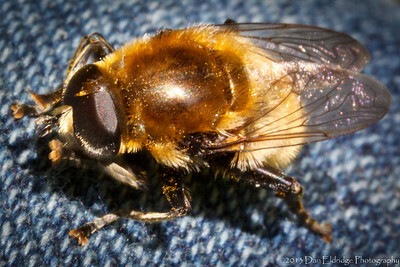 May 6th: Breaking out the macro lens today for this cooperative little insect. 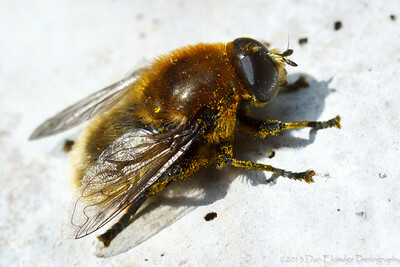 I was on the ground shooting dandelions when I heard this guy buzzing around. He landed on some clover near to me and I got off a few shots but the camera's settings weren't right. He then landed on my thigh and posed for a dozen more shots. 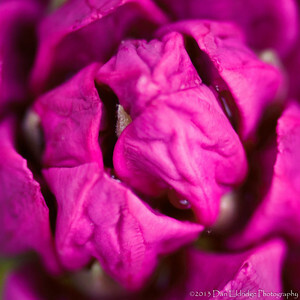 Shot at ISO 800, f/18, 1/80 sec with the EF-S 60mm f/2.8 Macro lens. 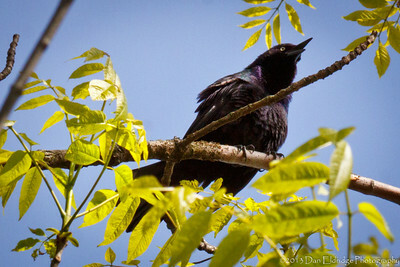 May 7th: Caught this Grackle way up in one of my trees. Shot at ISO 800, f/16, 1/400 sec with the EF 70-300mm f/4-5.6 at 300mm. 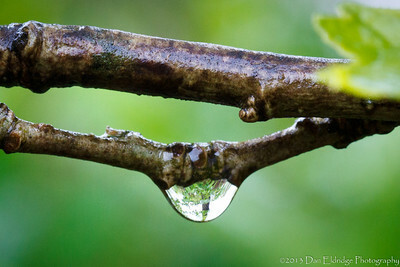 May 8th: Rain + Macro Lens = Fun with my camera! Shot at ISO 800, f/8.0, 1/100 sec with the EF-S 60mm f/2.8 Macro lens. May 9th: This little beauty stopped in for a bath. 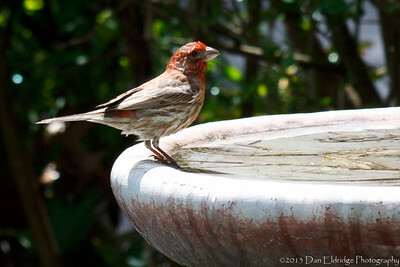 Shot at ISO 400, 1/400 sec at f/9.0 with the EF 70-300mm f/4-5.6 at 300mm. 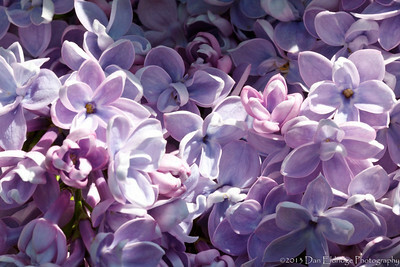 May 10th: By request: Elizabeth has been asking for photos of her lilac since I started this project. The light and the number of blooms were finally just right this morning. Mmmmm! I can almost smell them through my monitor. Shot at ISO 200, 1/125 sec at f/13 with the EF-S 60mm f/2.8 Macro lens. May 11th: Rhododendron bud inspired by Georgia O’Keefe. Shot at ISO 200, 1/100 sec at f/2.8 with the EF-S 60mm f/2.8 Macro lens. May 12th: Elizabeth caught this Cicada emerging from its Nymph Skin. How lucky can a photographer get? 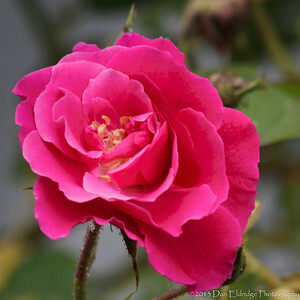 Shot at ISO 100, 1/200 sec at f/5.6 with the EF-S 60mm f/2.8 Macro lens. May 13th: OK. I admit it. I’m totally addicted to my macro lens. I forgot how much fun it is to look at the world through that lens! And, when this guy landed right in front of me, I couldn’t help shooting him. I’ll stop with the insects now. I promise. Shot at ISO 200, 1/320 sec at f/6.3 with the EF-S 60mm f/2.8 Macro lens. 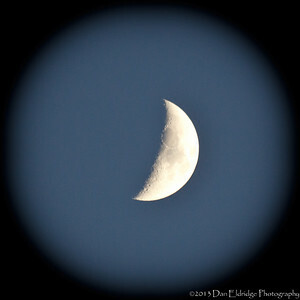 May 17th: I know I already posted a pic of the moon but this one is way better! Shot at ISO 400, 1/100 sec at f/5.6 with the EF 70-300mm f/4-5.6 at 300mm. 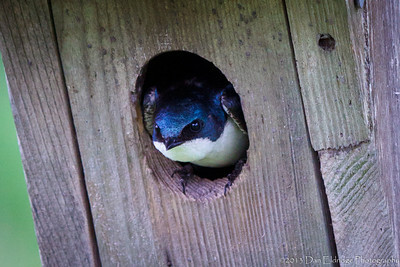 May 18th: I caught this Tree Swallow defending his nest in Lenape Park. Shot at ISO 800, 1/320 sec at f/5.0 with the EF 70-300mm f/4-5.6 at 200mm. 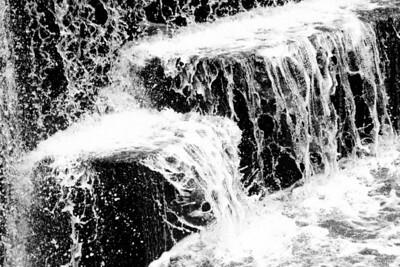 May 20th: A little moving water in high contrast B&W. Shot at ISO 400, 1/1250 sec at f/4.0 with the EF 70-300mm f/4-5.6 at 70mm. May 21st: We had our first significant Cicada emergence last night. This little beauty was begging to be photographed. 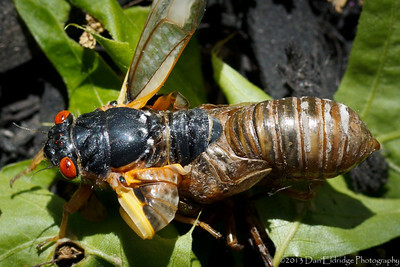 I suspect you’ll see a few more Cicada pics before this project is through. 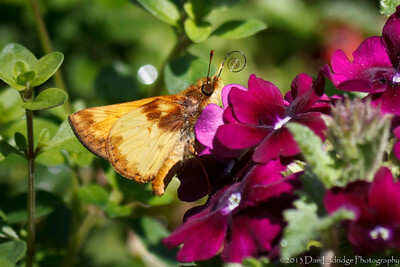 Shot at ISO 200, 1/160 sec at f/4.5 with the EF-S 60mm f/2.8 Macro lens. 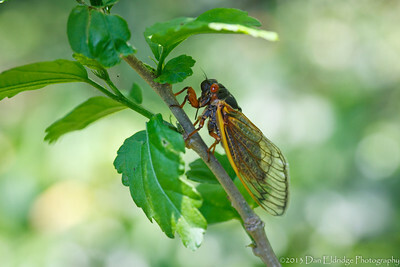 May 23rd: I hope you’re not getting tired of Cicadas just yet. Found this exoskeleton clinging to the side of a tree. Shot at ISO 200, 1/50 sec at f/2.8 with the EF-S 60mm f/2.8 Macro lens. This little beauty grows alongside my house. Shot at ISO 400, 1/200 sec at f/8.0 with the EF 70-300mm f/4-5.6 at 180mm. 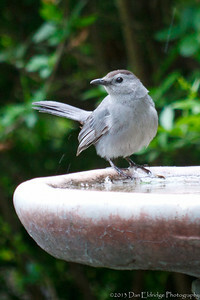 May 25th: This little guy stopped by for a bath. Shot at ISO 800, 1/125 sec at f/5.6 with the EF 70-300mm f/4-5.6 at 300mm. 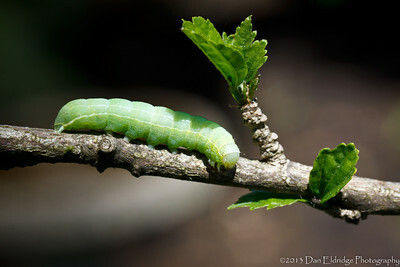 May 26th: A very hungry caterpillar. 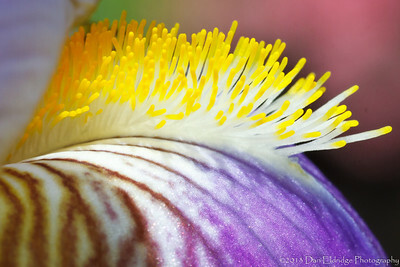 Shot at ISO 200, 1/200 sec at f/8.0 with the EF-S 60mm f/2.8 Macro lens. May 27th: Still trying to identify this little bugger. Please comment if you know. Shot at ISO 400, 1/640 sec at f/9.0 with the EF 70-300mm f/4-5.6 at 300mm. May 29th: I live in the foothills of the Watchung Mountains. The Watchung Mountains are a group of three long low ridges of volcanic origin, between 400 ft. and 500 ft. high, lying parallel to each other in northern New Jersey. 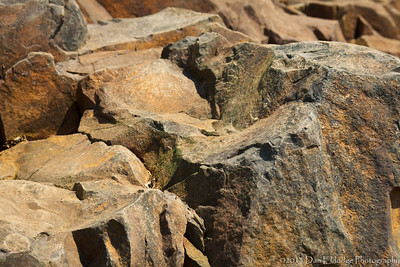 The ridges near me are composed of Orange Mountain basalt. Shot at ISO 100, 1/500 sec at f/5.0 with the EF 70-300mm f/4-5.6 at 70mm.